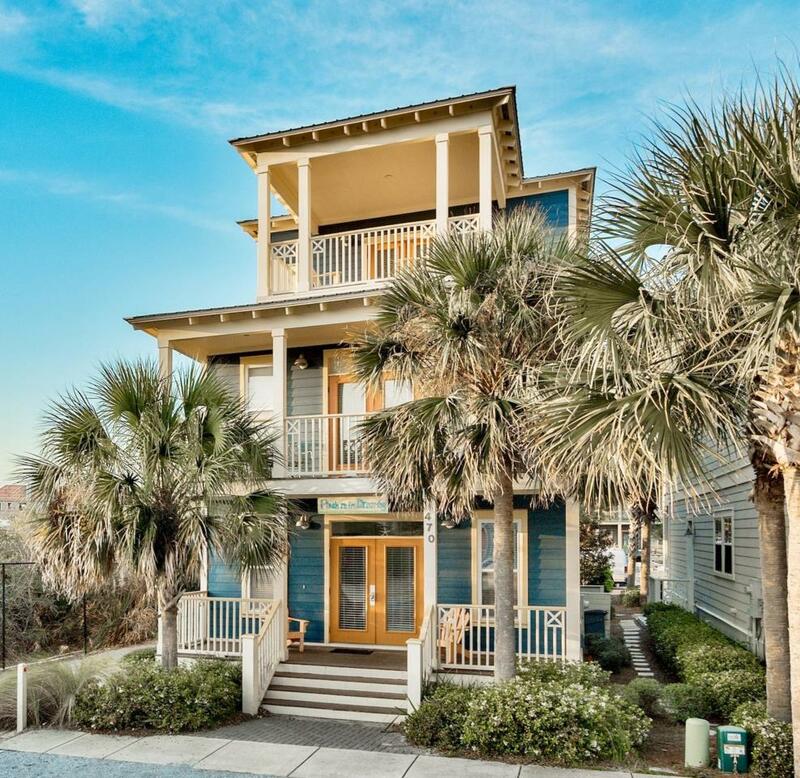 ''PINCH ME I'M DREAMING'' is what you will say when you step inside your idyllic Seacrest Beach home. Overlooking Alys Beach with beautiful Gulf views and just a short bike ride to Rosemary Beach, this home has everything to make Beach living a dream! INVESTOR ALERT!! Over $80,000 GRI consistently. First floor features spacious living/dining with hardwood floors adjoining gourmet kitchen with granite counters. First floor bedroom is a renter must with adjacent full bath. Second floor features 2 large King master suites, each with private balconies and ensuite baths. Third floor bedroom is perfect for children with sleeping for 5. Tower bar and covered deck atop for enjoying the gorgeous sunsets and gentle Gulf breezes. Over 653 sq ft of porches.